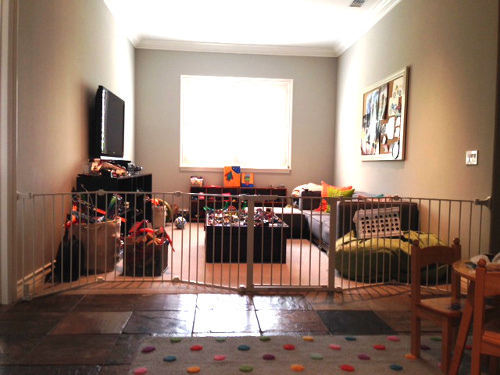 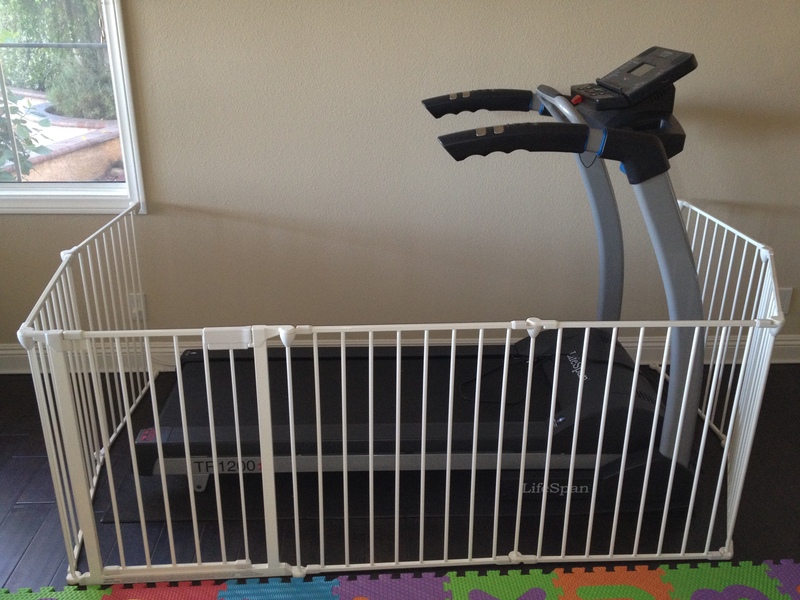 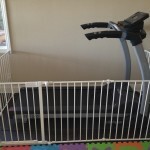 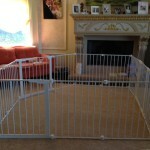 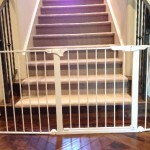 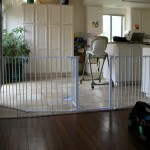 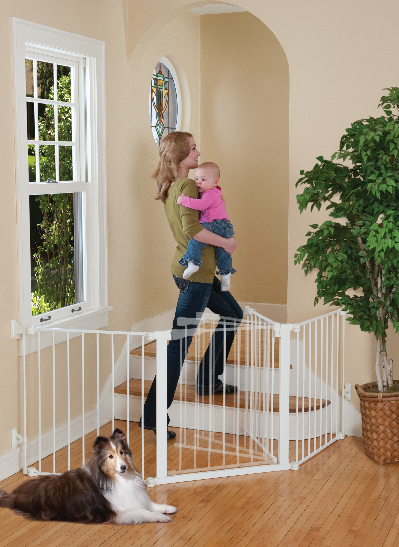 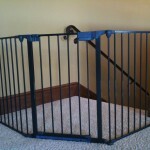 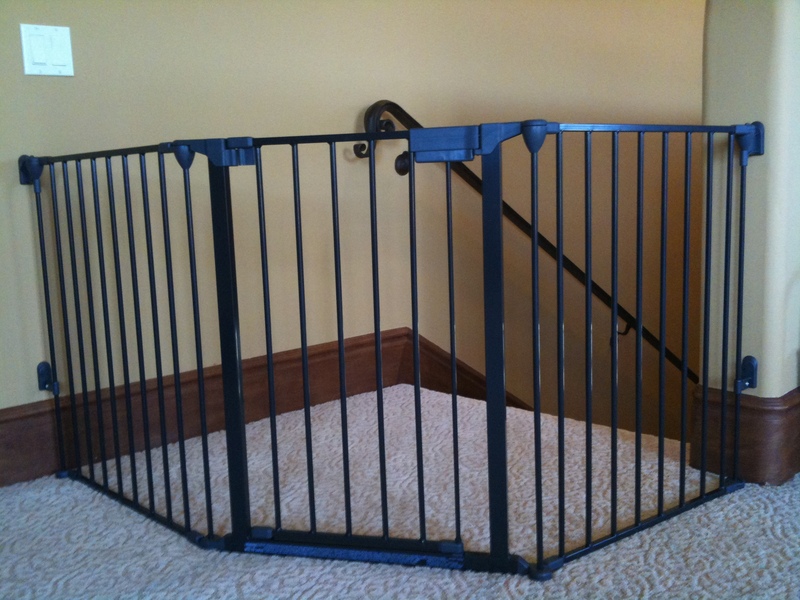 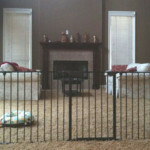 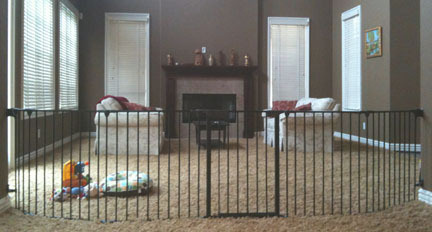 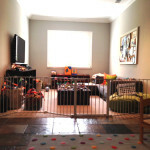 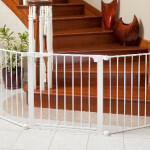 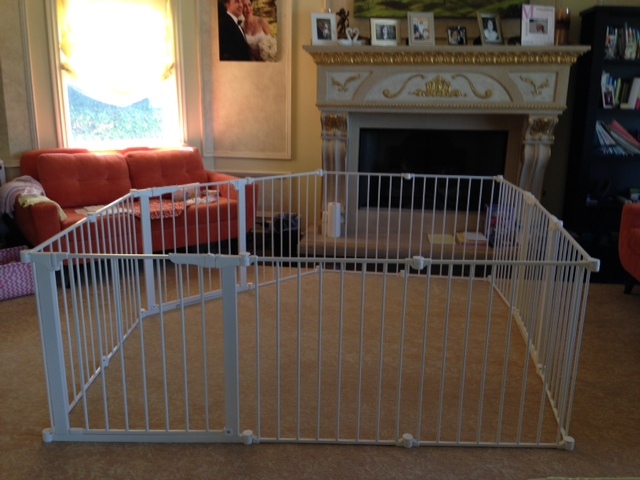 Baby Safe Homes can customize a baby safety gate for almost any size opening and any situation. 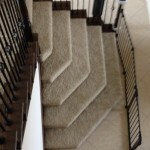 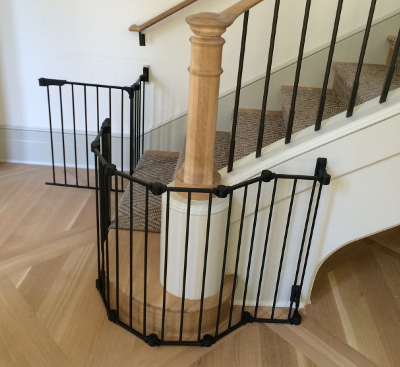 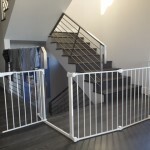 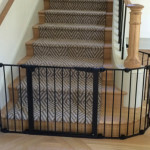 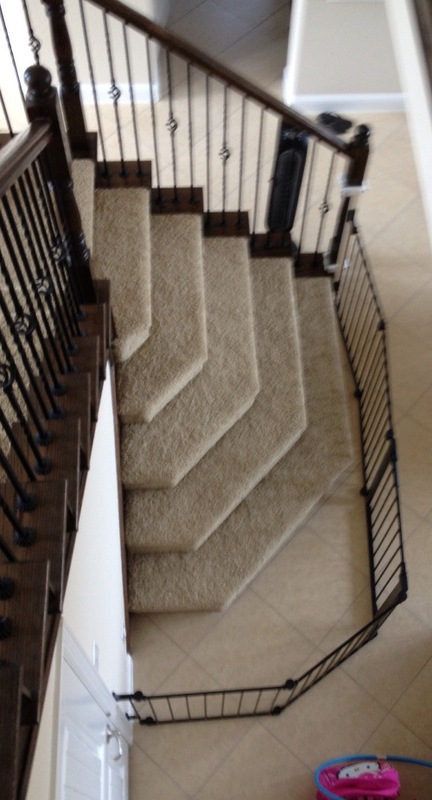 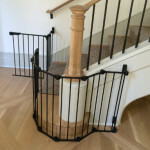 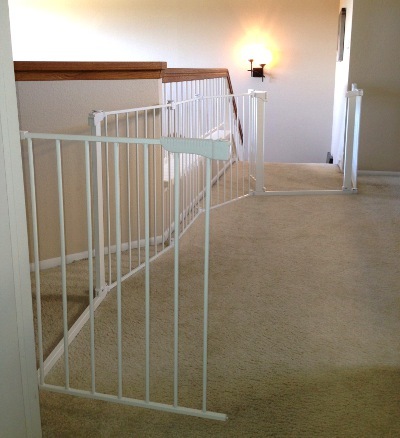 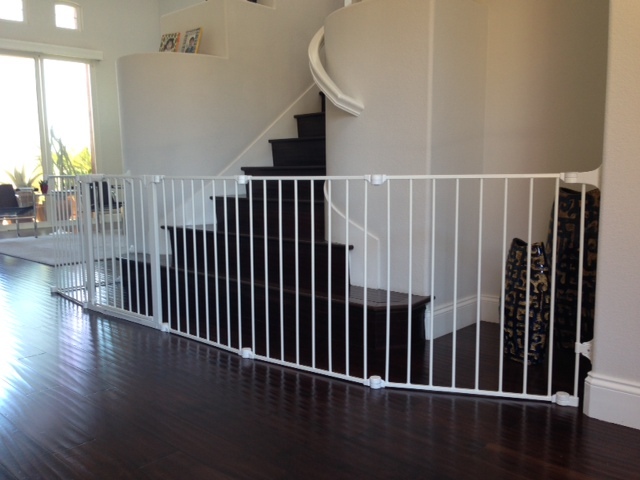 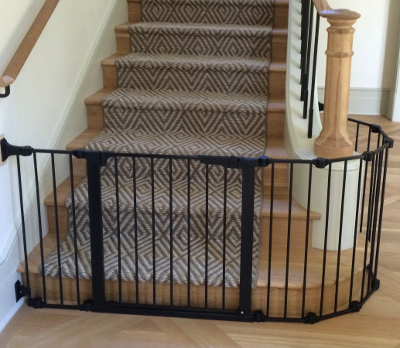 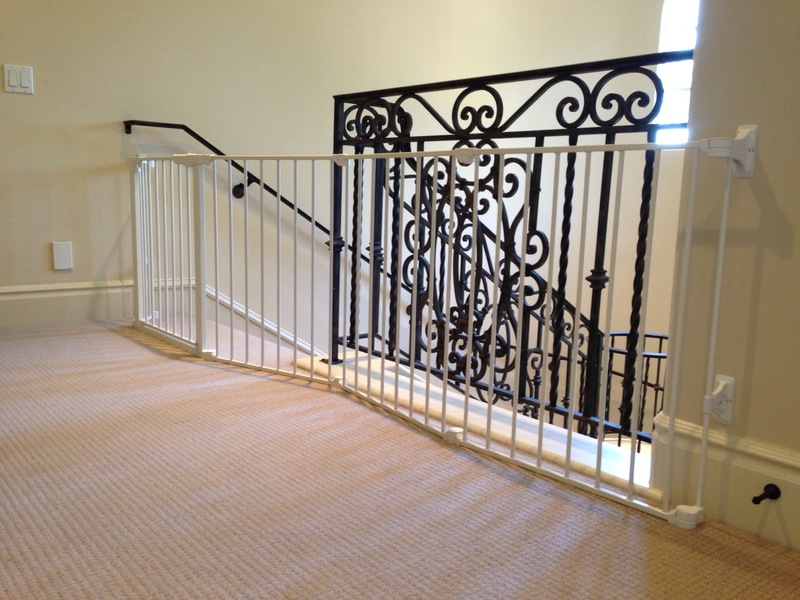 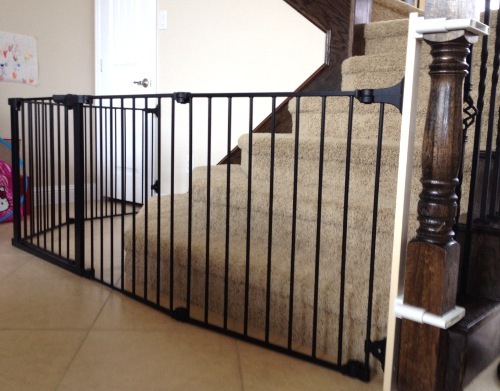 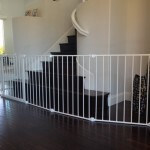 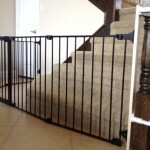 These photos are just a few examples of what we can do for wide irregular openings for your stairs, to help keep your baby out of danger or confine them into or out of areas of the home. 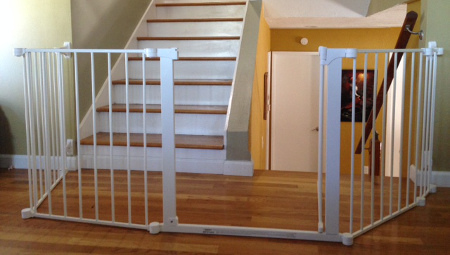 Most of our large sectional gates have and auto lock door and a door hold open feature for easy pass through for when baby is napping. 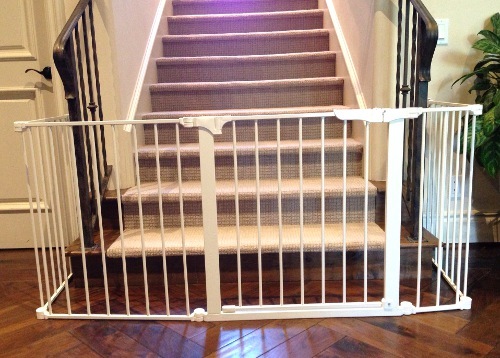 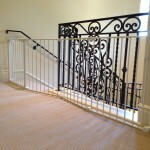 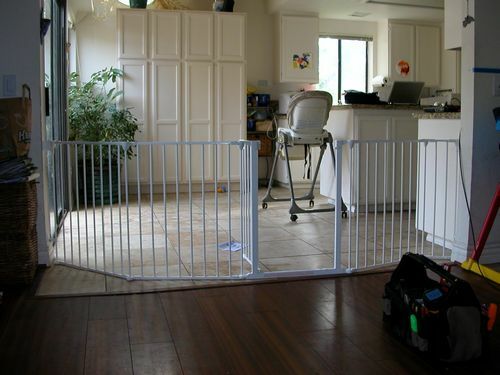 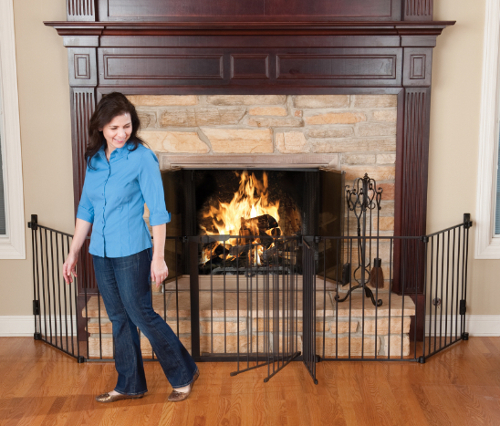 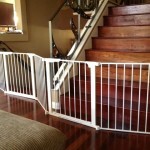 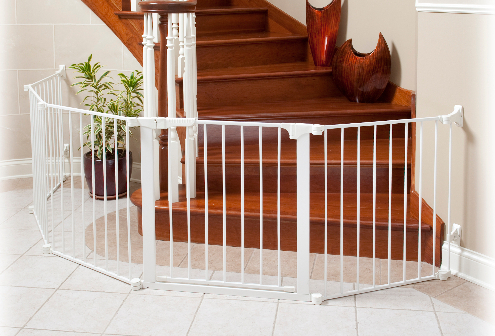 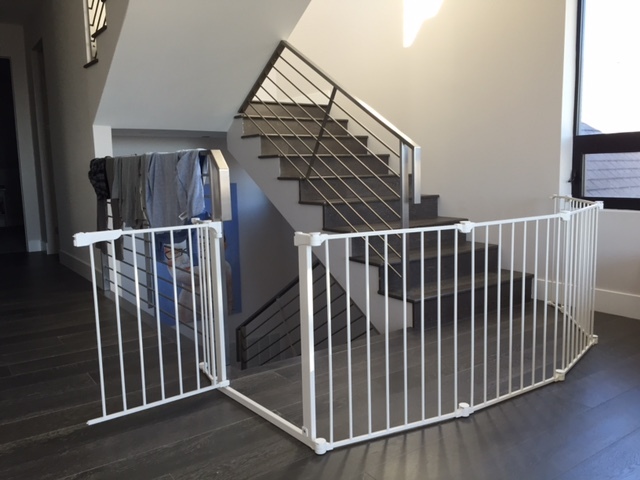 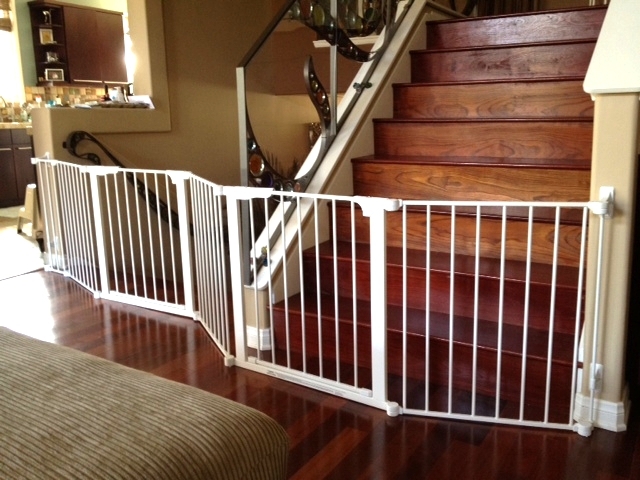 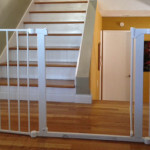 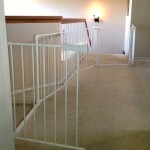 These sectional gates can also be easily removed in less than 60 seconds.